The higher education bill falls well short of the money the University of Minnesota and the State Colleges and Universities System wanted. In the bill, the U of M is awarded an additional $147 millions over the next two years. The U of M would get another $27 million in one-time money. Much of that goes to fund a partnership with the Mayo Clinic. MnSCU secures $142 million for the biennium along with $8 million in one-time funds. The bill provides incentives to keep tuition hikes at the University of Minnesota to less than 3 percent a year. 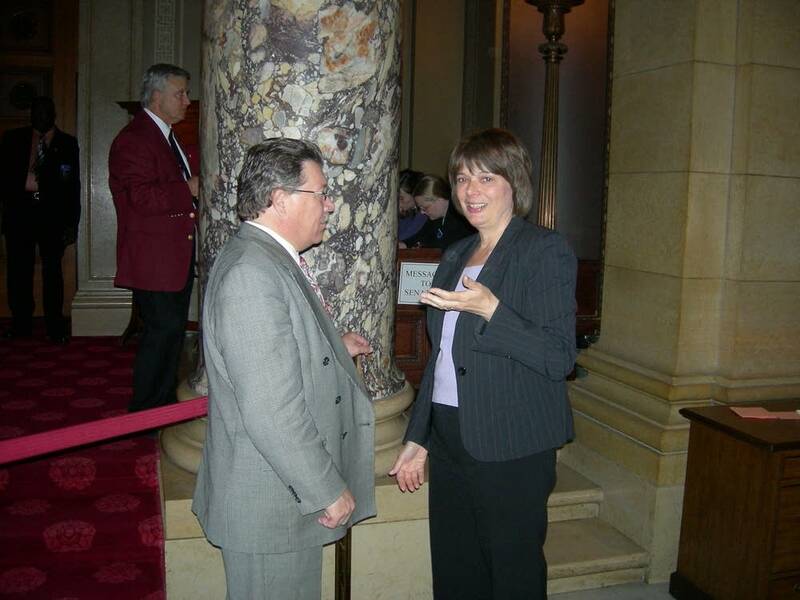 Legislators also urged MnSCU officials to hold tuition increases down. MnSCU Trustees have promised to keep any rise in tuition below a four percent average. If they stick to it, that would be the lowest increase in 10 years. Senate Higher Education Budget Division Committee Chair Sandy Pappas says the spending plan focuses more on what the college systems are already doing, rather than new projects. "The next priority needs to be holding down tuition," she said. "Although they had a lot of new and exciting initiatives... holding down tuition increases is a higher priority and they should fund those other things through reallocation or increased productivity." Pappas says the higher education budget, which does not rely on tax increases, underfunds higher education. One thing absent from the bill is a provision to allow children of illegal immigrants living in Minnesota to pay in-state tuition when they go on beyond high school. The House and Senate both passed the Minnesota Dream Act language. Pappas says the DFL-controlled committees bowed to the governor's opposition. "We agreed to drop it in order to avoid the governor's veto. This is the third time he's threatened to veto the bill because of the Dream Act. We feel very sad for students. We hope to help them on an individual campus basis," she said. The budget all but abandons Gov. Pawlenty's ACHIEVE Two plan to allow more high performing students to take college-credit courses while still in high school. Instead the conference committee gave a $4 million boost for existing advanced high school programs. House Higher Education Finance Committee Chair Tom Rukavina says there's no room to add on the governor's program. "For us to do the things we want to do, especially address tuition, to all of a sudden address a brand new program, we just can't do it," Rukavina said. The committee's version also strips out Pawlenty's idea of performance pay for talented instructors. Pawlenty called removing the Dream Act provision "progress," but was still holding out for word on key details of the plan before committing to signing it. "There's still a lot of provisions up in the air in that bill including our ACHIEVE proposal, including the House's provision on tuition caps and many other things so it would be way premature to comment on the higher ed bill," he said. The higher education bill is $71 million short of the total amount of operating money requested by the U of M and MnSCU. But it's overall spending is $102 million more than the governor proposed.